Welcome to our 4th night of Steak’n House Party series. In an exclusive context of only 7 parties we will combine this winter for the first time the “best steakhouse of Tirol” with the best music. 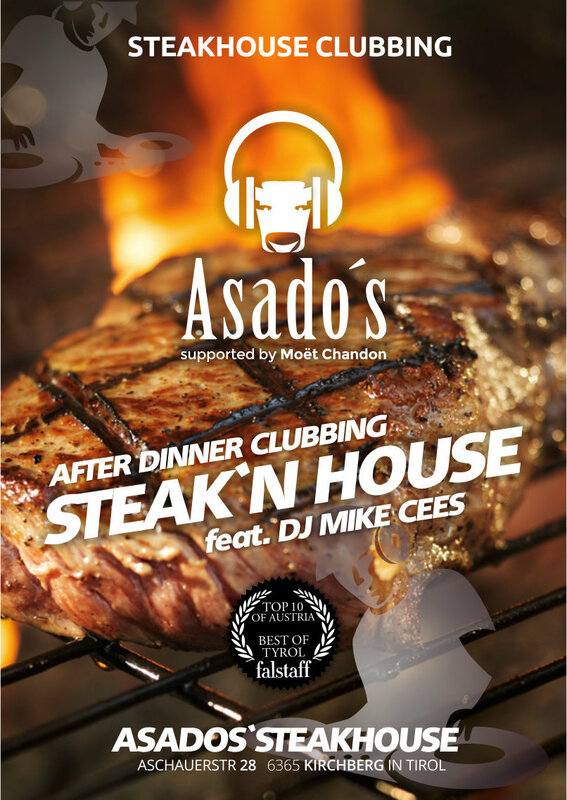 Marcel Sore, Owner of Asado’s Steakhouse brings with Cees a famous DJ, who will create great winter evenings with cool sounds. Cees has made as a DJ not only in Europe a name, but is now also increasingly booked internationally.